Choosing our Motorhome of the Year is always a difficult task for the judges and the eight class winners left the NEC show – arriving at the Caravan Club’s Clumber Park site for final judging. Value is obviously important, but so is appeal as we, with our less predicable weather, have different requirements than our continental cousins with their nearly-always lovely summers. 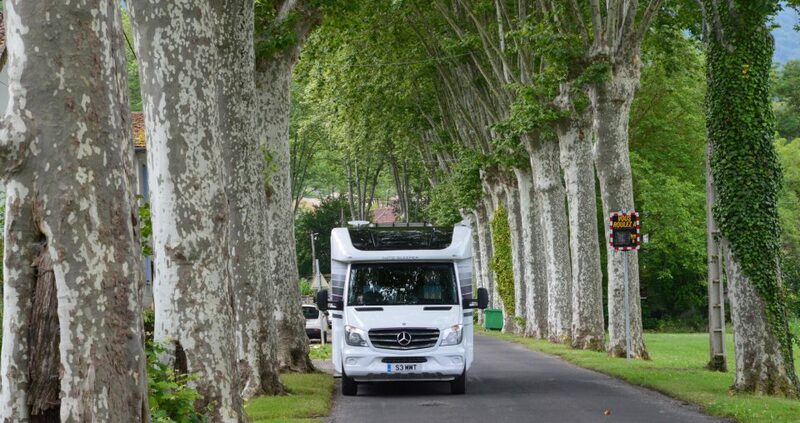 In the end it proved quite easy to come up with the winner as all the judges had, separately, been impressed with this particular motorhome at first sight – one at the press launch in France, the others at the biggest-in-Europe Dusseldorf show. However after all the deliberation, our judges crowned the Chausson 610 Flash as the worthy winner of the Motorhome of the Year 2015. Coming in second was the Adria Matrix Supreme 687 SLT and picking up a creditable third was the Elddis Encore 255. Our winner is Chausson’s Flash 610, A motorhome that takes a tried-and-tested concept and adds to it, producing a ‘van that’s comfortable, capable and versatile too. The concept is a drop-down bed above the lounge, and here it’s applied in fine fashion, with a big, comfortable relaxing space that provides plenty of room for entertaining. Above, the electrically-operated bed can descend to two levels: the first allows the lounge below to be made into a second double bed, the second sees it arrive at sofa level, providing an easy-to-get-into double for the touring couple. The kitchen is spacious, with big drawers and a fridge/freezer. The three-burner hob and sink – both with glass lids – take up quite a lot of the worktop, but you can always use that large lounge table. You can read the full road test of the Chausson 610 Flash in the January 2015 issue of Which Motorhome magazine. Warners Group Publications plc, publishers of the market-leading motorhome magazine, Motorcaravan Motorhome Monthly (MMM) and many other outdoor leisure publications are proud to announce the arrival of new magazine Campervan. Campervan is an aspirational title that aims to highlight the lifestyle benefits of a campervan and how it can enhance your leisure time. It covers all brands of campervans from Fiat to Volkswagen and all types of build – from professional conversions to self-builds. Everything from a Mazda Bongo to a £80K Ducato will be included. Rather than just being a magazine about buying campervans, it takes the next step and shows people how to best enjoy their campervans and the lifestyle benefits. 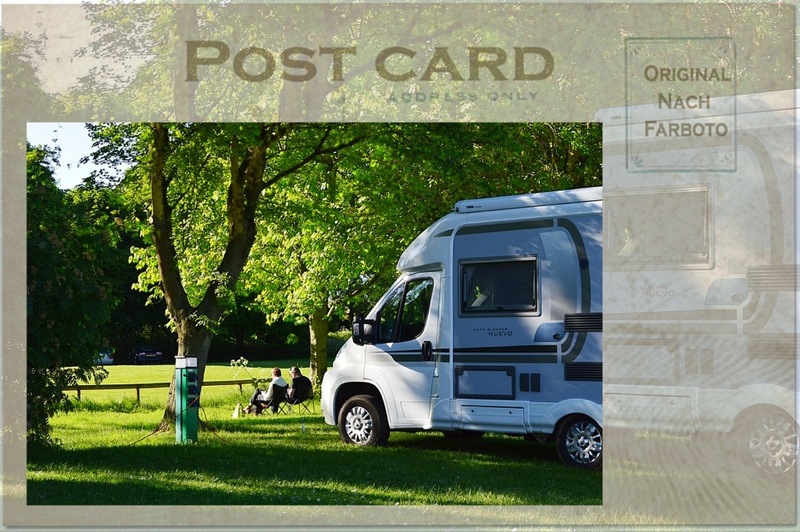 Key ingredients to the title are reader-owned campervans – who better to share their camping experiences than fellow readers who have spent their own money on a vehicle to enhance their outdoor leisure time? Reader’s vehicles include everything from a kite surfer’s Toyota Granvia conversion to a keen cyclist’s £71,000 VW T5. Written by passionate campervan-owning journalists, this title aims to highlight the advantages of downsizing to a campervan. The magazine has features on touring Cornwall by campervan, 15 great activities to enjoy around the UK (and where to stay nearby) and campervan hire. New models tested include Westfalia Amunsden, Globecar Globescout, Wild Ax Cutie, Kingston Snowdonia Curve, Romahome R30, Lunar Vacanza and many more. For those looking to buy their first campervan, the magazine also includes essential buying advice and tips, together with features highlighting the type of conversions available – from basic kitchen pods to campervan conversions purpose-designed for a specific hobby. 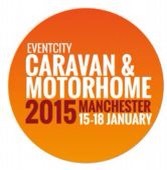 After a fantastic year of shows in 2013, featuring product launches from Europe’s biggest and brightest, seminars on motorhome related topics, comedians, singers, bands, dancers, food, camping and more, MMM is looking forward to the prospect of more to come in the new year! You can enjoy a weekend at one of our shows from just £8.75 per night across some of the most beautiful locations our country has to offer. 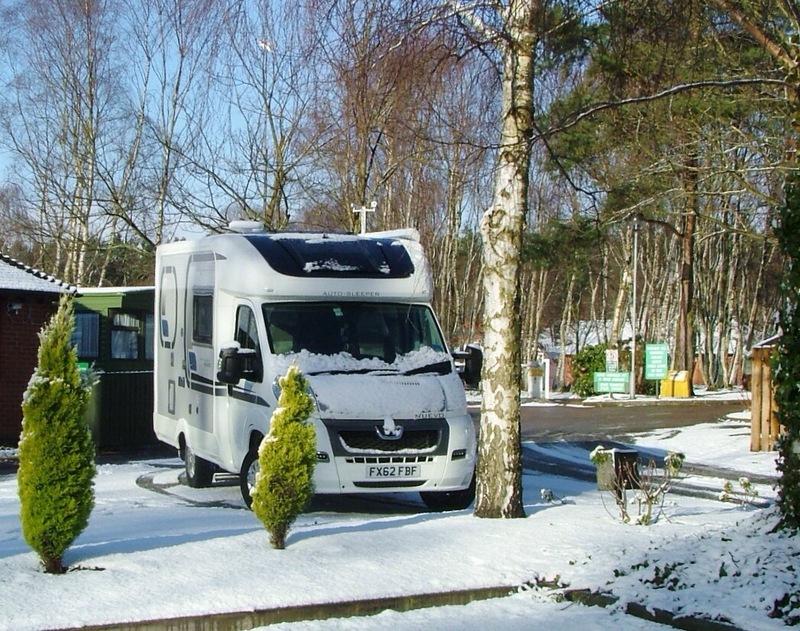 You’ll also get to experience the unmissable atmosphere on sites, surrounded by hundreds of like-minded motorhomers who are happy to give tips to newcomers. You’ll also be able to access our facilities on-site at no extra cost – all our show camping is on-site, within easy reach of our exhibition areas, food courts and entertainment venues. What’s more, you’ll have access to water, elsan points and toilet and shower facilities all included in your pitch price. Don’t forget too, if you’re a subscriber to MMM or Which Motorhome, you can save £5 on any events at which camping is available, or £2 if you can’t stay the night. The £2 discount* is however, only available to MMM subscribers. 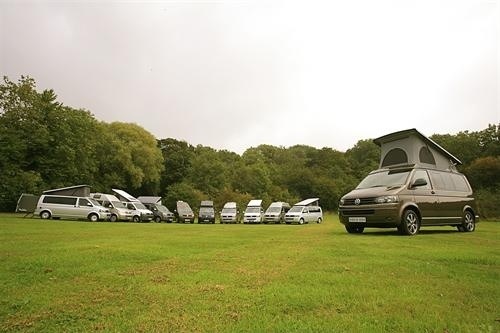 Which Motorhome completes biggest ever VW test. Which Motorhome, the UK’s number one magazine for motorhome testing, has just completed its biggest ever group test of 11 VW campervans. Exclusively featured is the first UK appearance of the German-built Volkswagen HymerCar Cape Town, the first Hymer on a VW and the first of a whole new range of HymerCar van conversions. Hymer has even set up a separate brand to market these. Compared with the Hymer are 10 UK-manufactured campers, all on the VW T5 in either short or long-wheelbase format. These were all variants that eschew the most common side kitchen style of layouts. Vans tested were the Autohaus Quinte – with a high-top and unique rear lounge layout, Auto-Sleeper Topaz – a long–established model from the UK’s oldest converter, Bilbo’s Lezan and Nexa – from current holder of our Campervan of the Year title, CMC Reimo MultiStyle – a past Campervan of the Year winner, Danbury Active and Doubleback – the Doubleback is the only VW with a slide-out, almost doubling its interior floor space on site, Hillside Doveridge – an unusual SWB high-top with a toilet area, Jerba Sanna – from this high-quality Scottish converter and Rolling Homes Livingstone – with its all real wood cabinets. All the campers were tested by Which Motorhome’s highly experienced road testers, who found a surprising variation between them. The results of this test, along with the winner are published in the December issue of Which Motorhome, on sale on 14th November. Every issue of Which Motorhome includes a vast number of tests and the magazine is often first to test new motorhomes as they are launched. 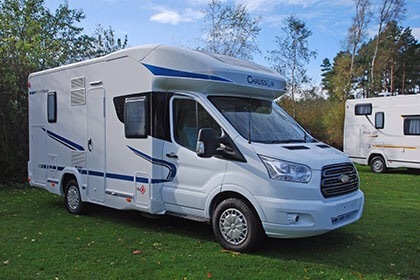 Which Motorhome covers everything from new A-classes to luxury low-profiles and secondhand bargains, so there is something to suit all budgets!